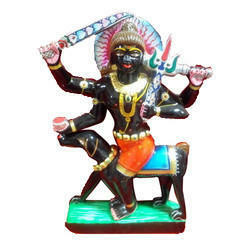 We are a leading Manufacturer of lord suryanarayan marble statues and bhairon marble statues from Jaipur, India. 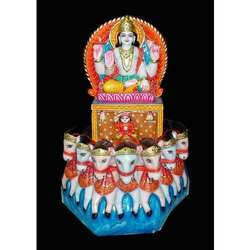 This is Lord Suryanarayan Marble Statues in which Suryadev riding on his seven horses chariot. Beautifully carved and designed by our designer. This is so colourful and eye cathchy. We are the leading manufactured of marble Bhairon Statue. The facial features are very clear.